FOR THE BEST CULTURE IN THE CAPITAL, LONDON’S SOUTH BANK REIGNS SUPREMacy. SKATEBOARDERS SEE IT AS THEIR SPIRITUAL HOME. GRAFFITI ARTISTS LOVE THE SHELTERED SPACE. GRAFFITI ON SOMEONE ELSE'S PROPERTY IS USUALLY CRIMINAL DAMAGE AND SKATEBOARDING IS OFTEN DISCOURAGED BECAUSE OF POTENTIAL DANGER TO BYSTANDERS. BUT THE SOUTH BANK'S CONCRETE AREA IS A TOLERATED SPACE. 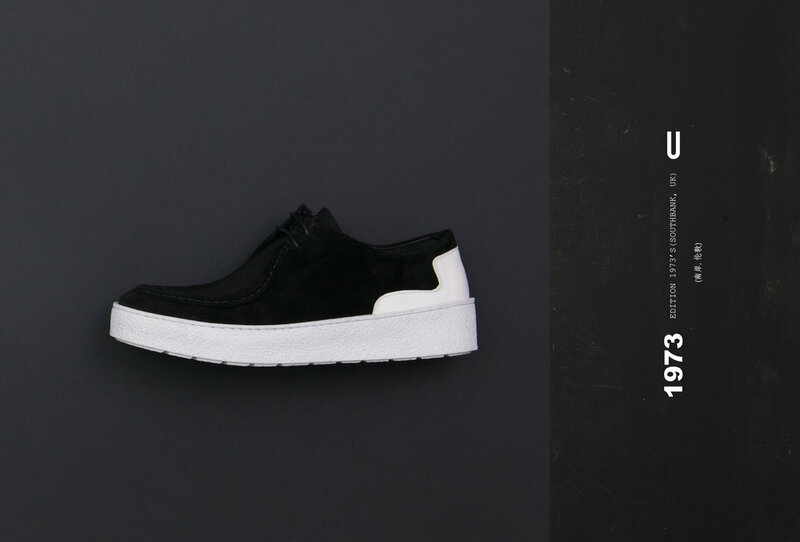 NOW, UNDUN COMBINES THE TRADITIONAL BRITISH SHOEMAKING AND SNEAKERS TO RECOUNT THE GREAT MOMENT OF 1970S IN SOUTH BANK.